London-based lighting studio Luum, have designed their latest product. Aurora features a formed aluminum body and Japanese 3D tube-bending technology. 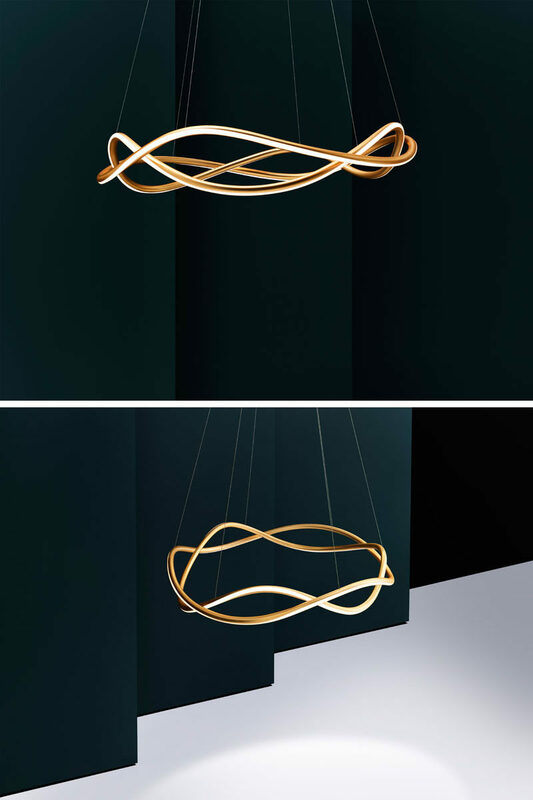 When designing Aurora, Luum set themselves the challenge of drawing with light, emulating the streak of light captured in a long exposure photograph or the trail of a bright light in motion. The result of this challenge allowed them to create a sinuous aluminium ring that circles around itself in a series of subtle waves, which create Aurora’s fluid form. 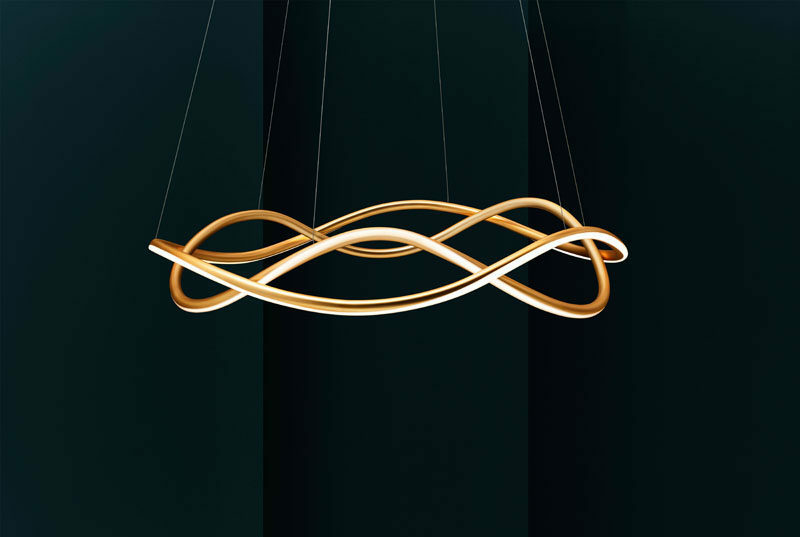 Gentle LED light is emitted from integrated silicon diffusers that twist and flow with the curve of the tubes, which are produced with Japanese 3D tube-bending technology. 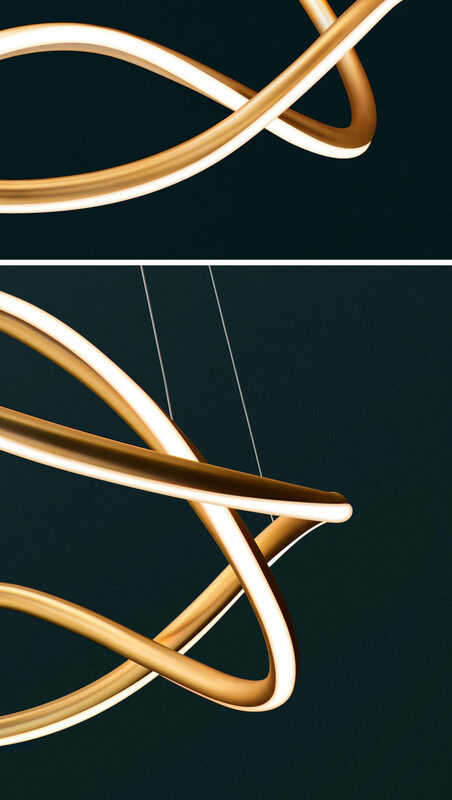 Aurora will debut at Euroluce, the biannual international lighting exhibition, at the Salone del Mobile in Milan from 9-14 April 2019.